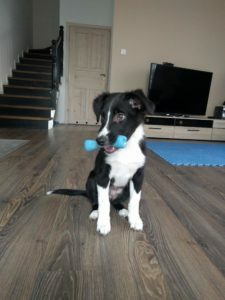 Is it not too early? 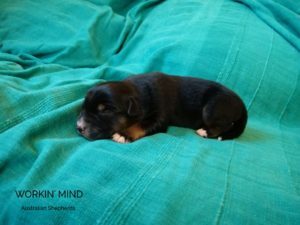 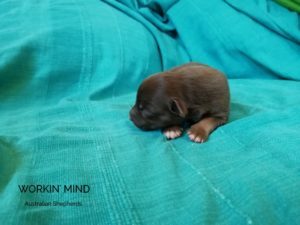 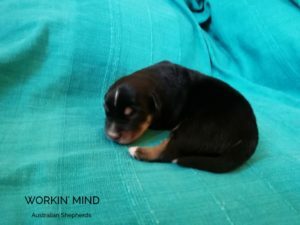 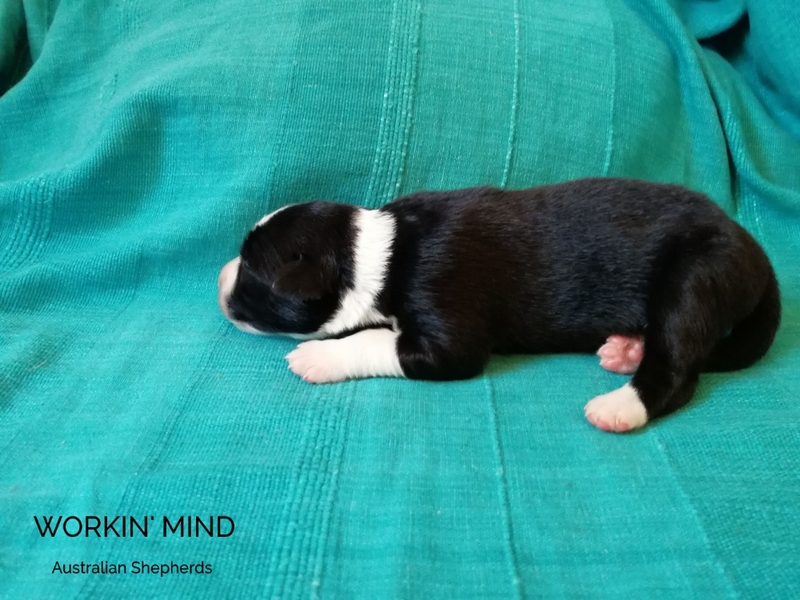 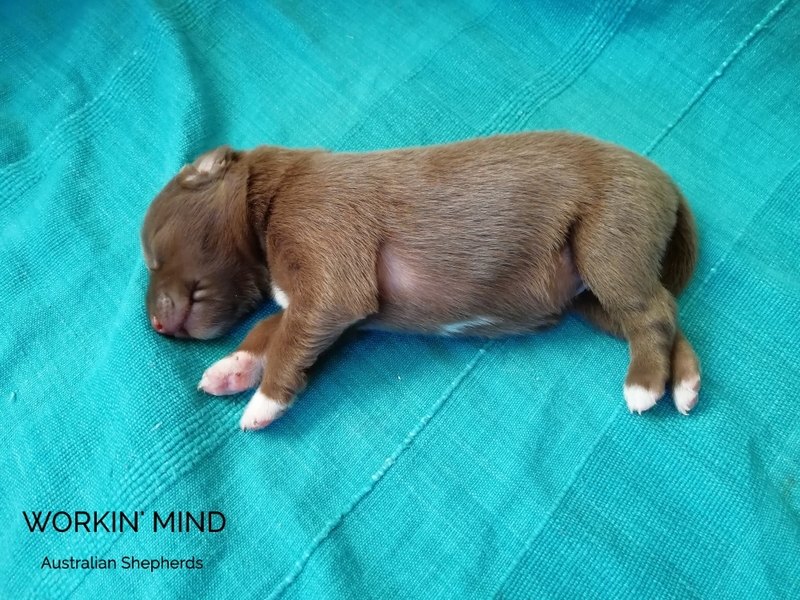 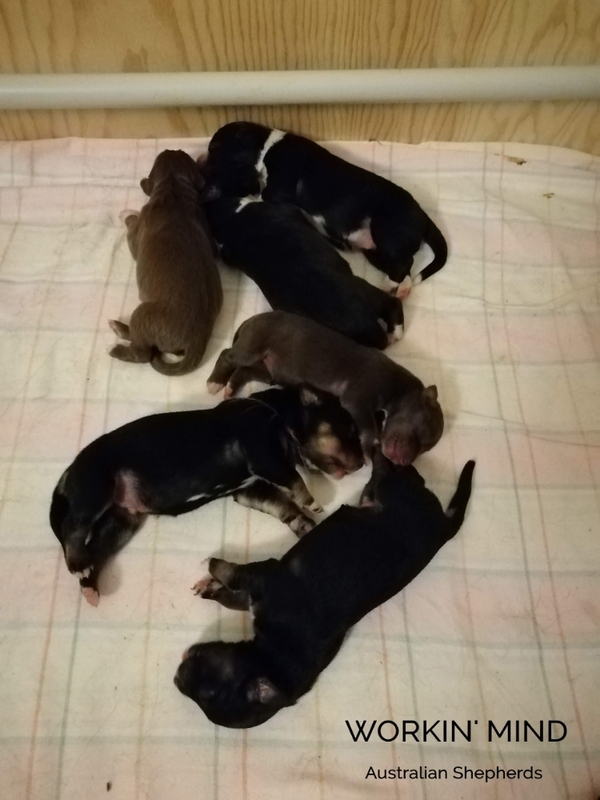 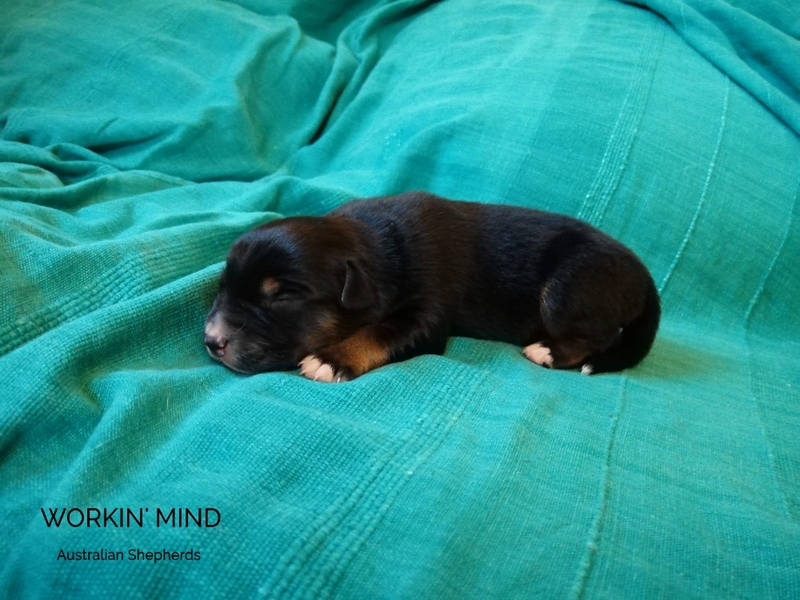 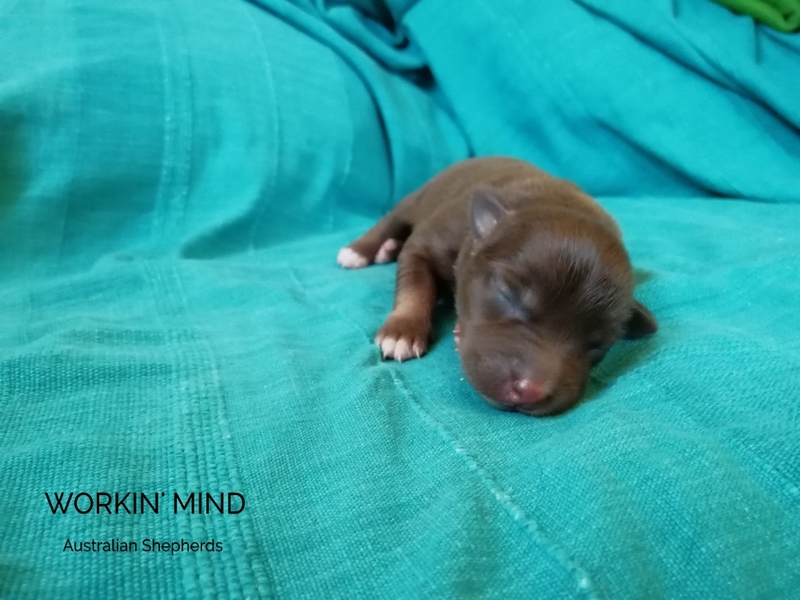 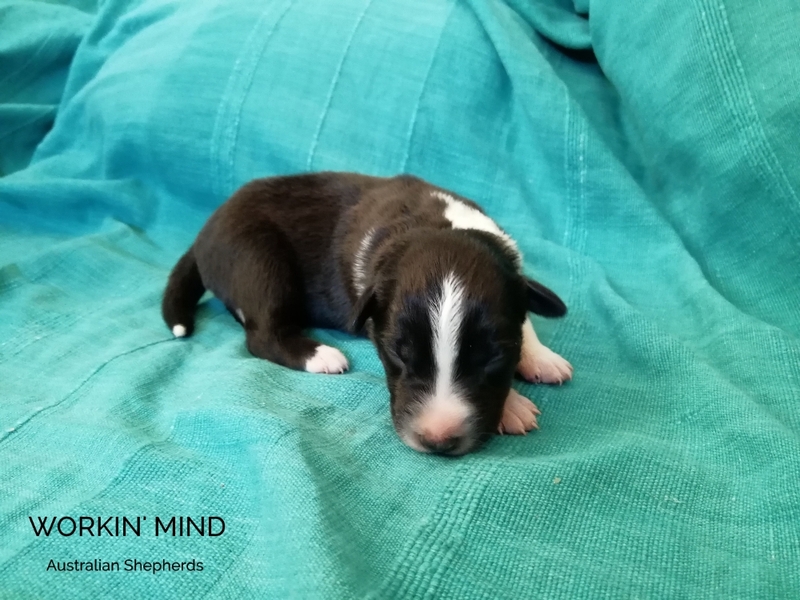 Six puppies were born on 12.8.2018, nearly exactly at the same hour as calculated. 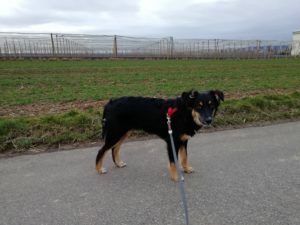 Nida has her own page where you can find more information about her. Let`s talk about Hidden Shades DNA-VP OTDsd CD RN GS-E JS-E-OP RS-E (ATCH-III PCH WTCH-M Let’s talk about Come to me AFTDs OFTDcdm CDX RNX RE DNA-CP x ATCH Dazzling Spirit Cool Quest STDc OTDds DNA-VP) The father is Charlie – Let´s talk about Hidden Shades DNA-VP OTDsd CD RN GS-E JS-E-OP RS-E. Charlie is a relatively young male with a lot of potential which complements Nelly with his characteristics very well. 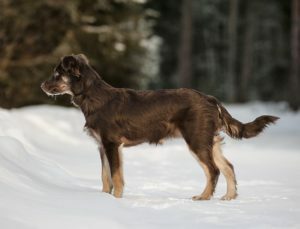 Bettina about Charlie: Charlie is a young male with a strong character and needs a strong lead. 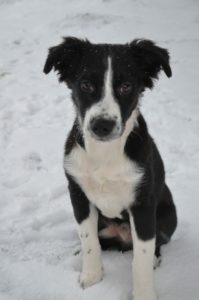 He knows what he wants but has a good balance of being assertive and easy to lead. 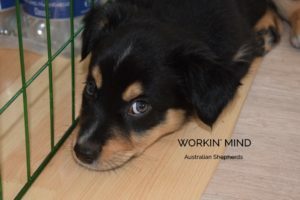 Charlie is an all-round talent and has already proven what he can do several times. 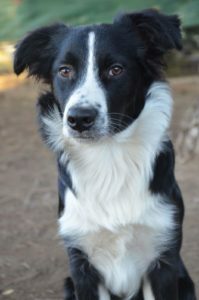 He is educated in agility, obedience and herding and shows a lot of talent in all sports with several titles already earned. 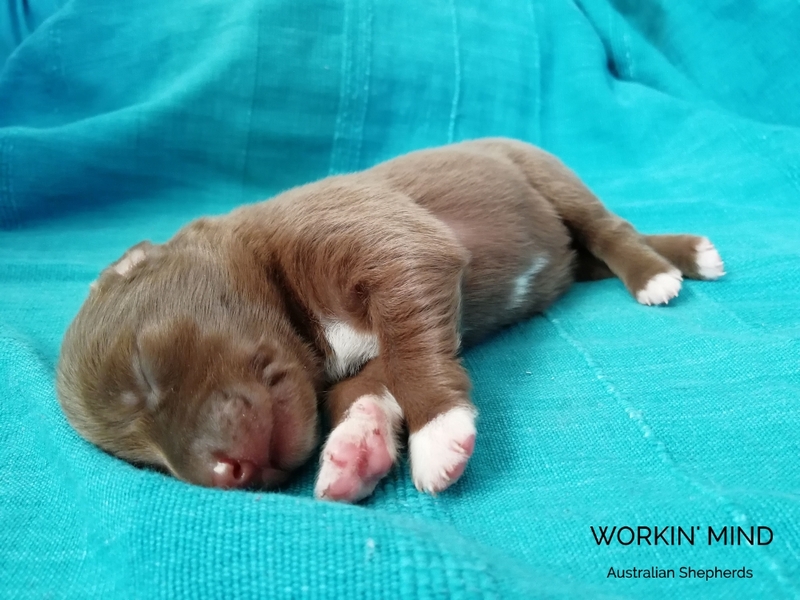 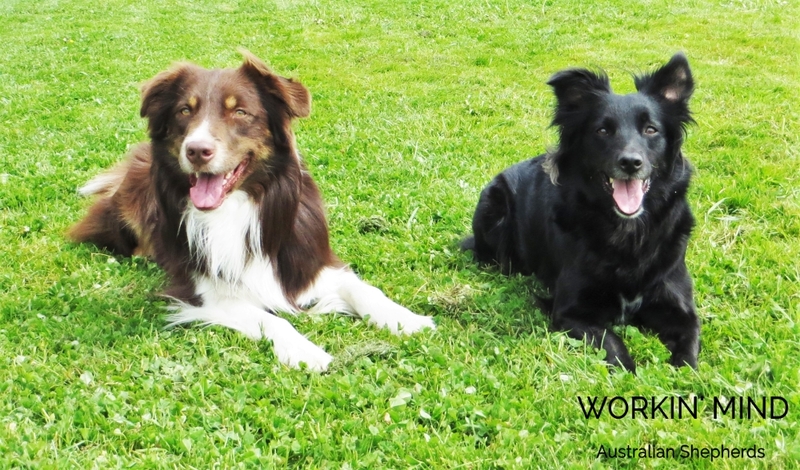 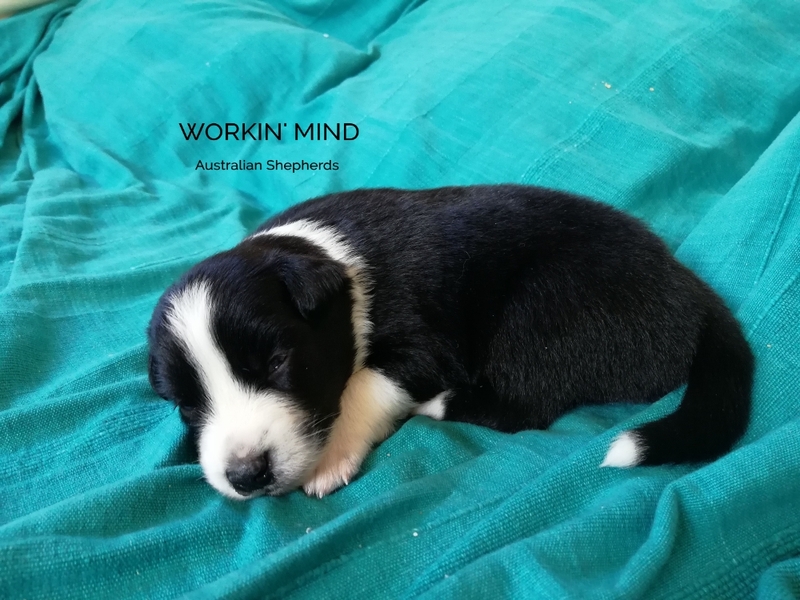 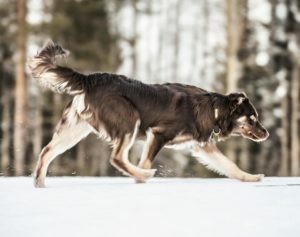 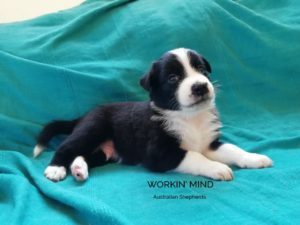 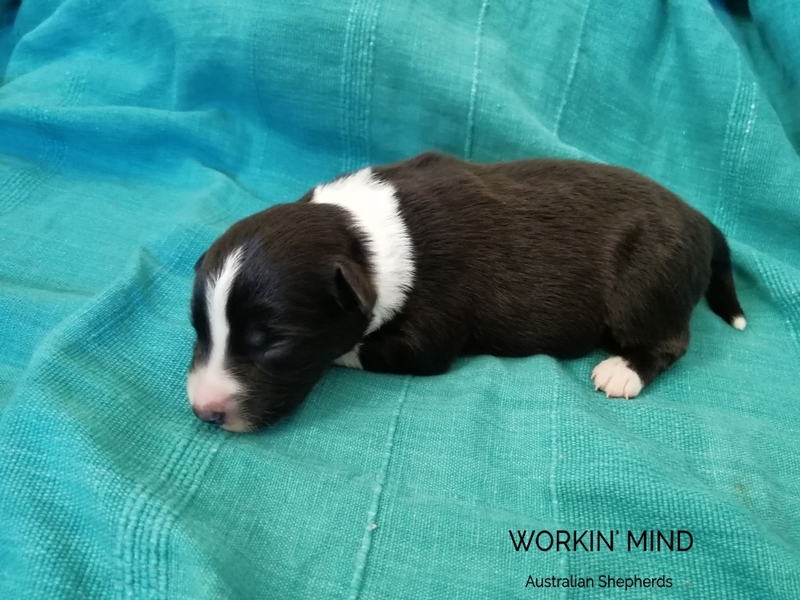 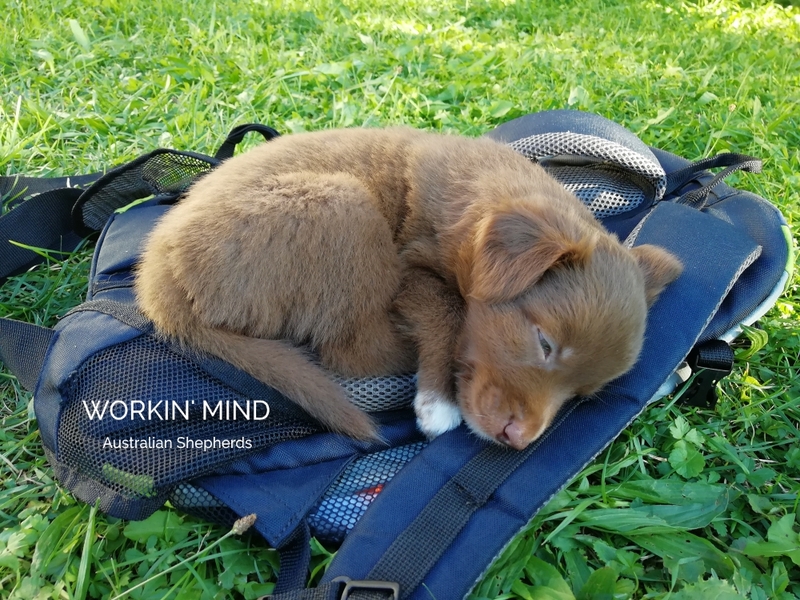 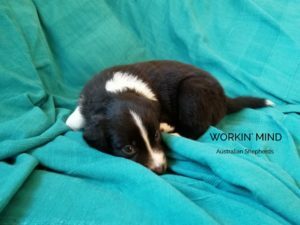 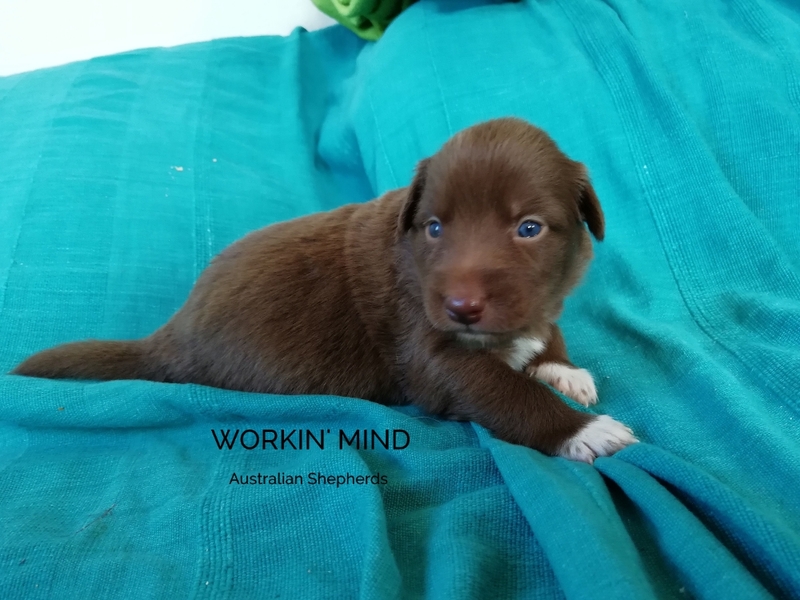 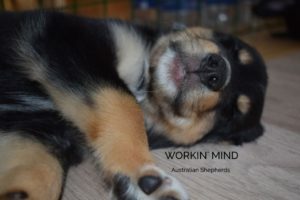 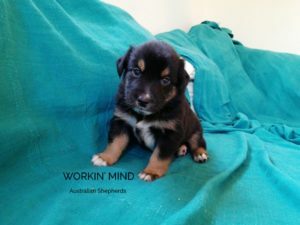 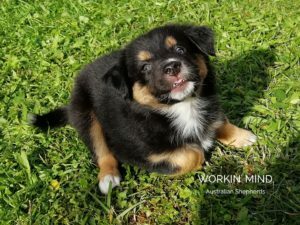 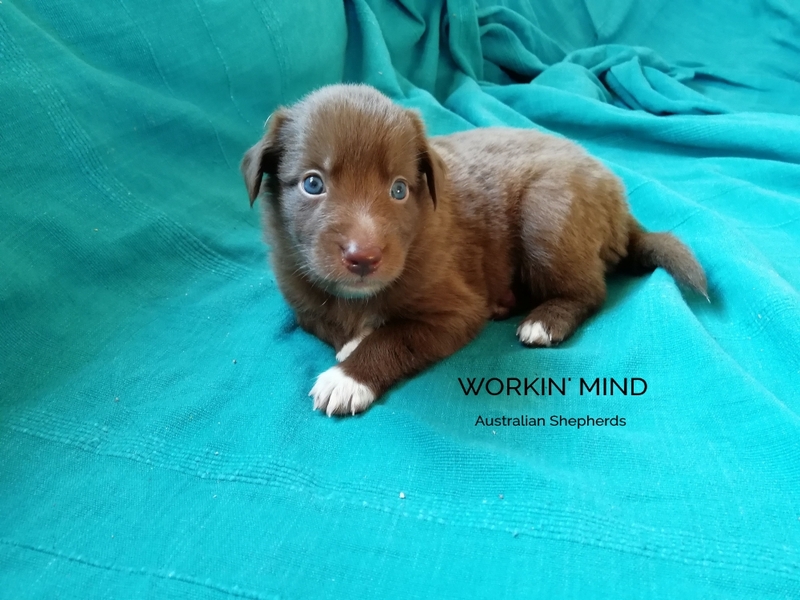 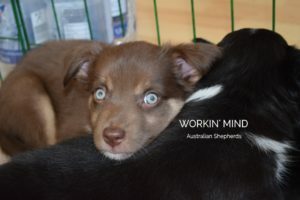 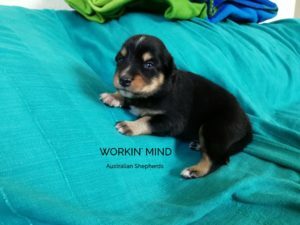 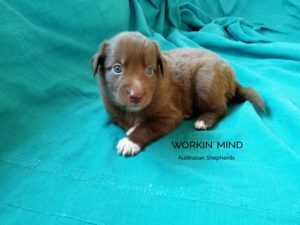 At home, he is discreet, very cuddly, and a solid leader of his pack (consisting of two other male Aussies), but outside and during trainings he is always ready for action. 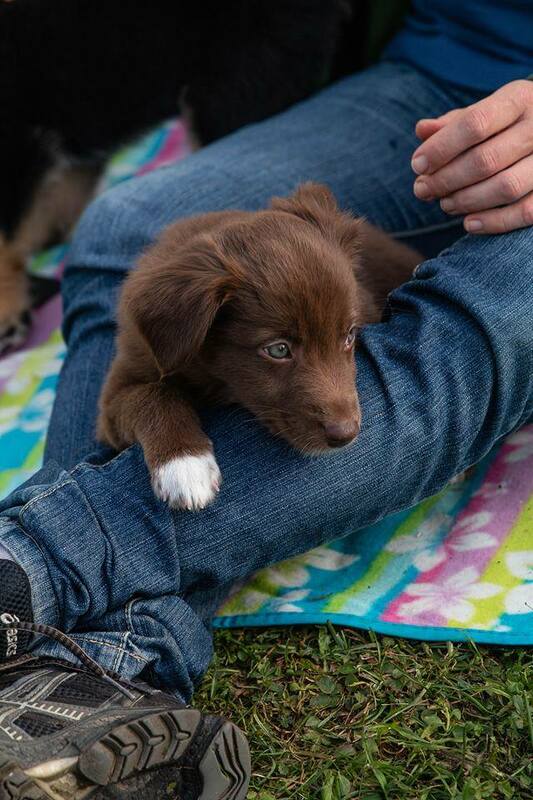 Charlie loves people and children and wins the heart of anyone. 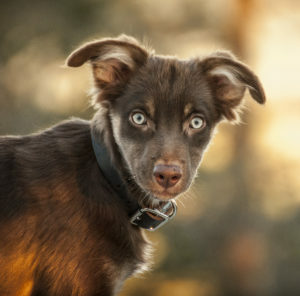 He is a lovable, loyal but also a strong willed companion. 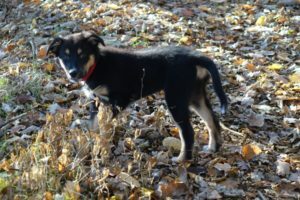 He is a very dynamic and energetic male with a lot of potential who is just a lot of fun. 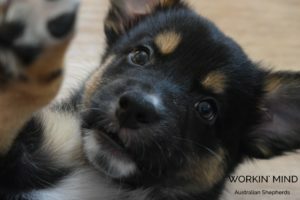 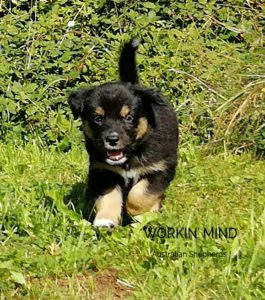 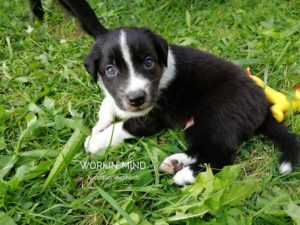 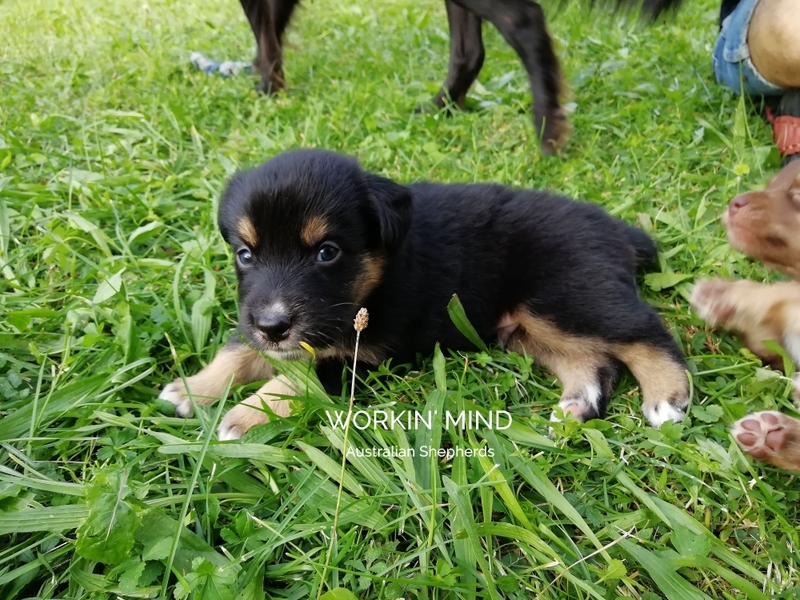 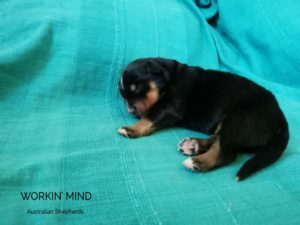 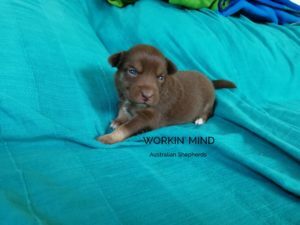 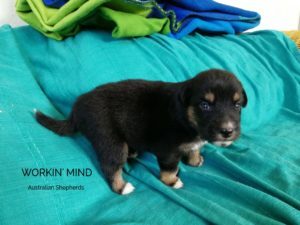 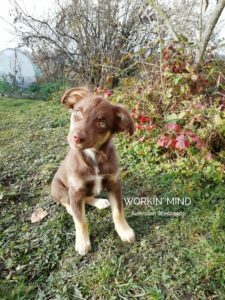 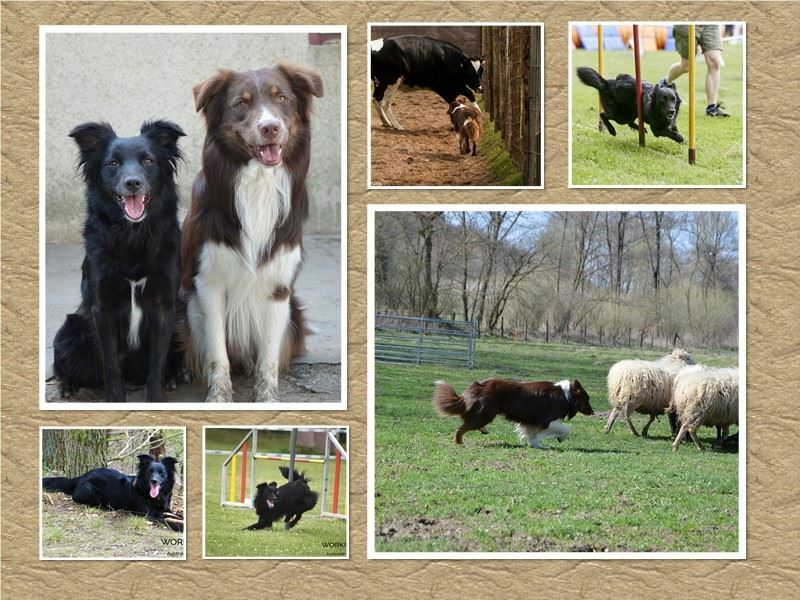 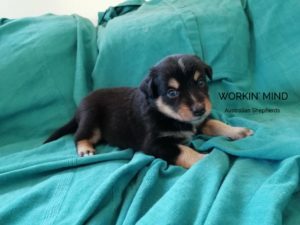 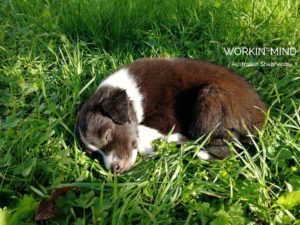 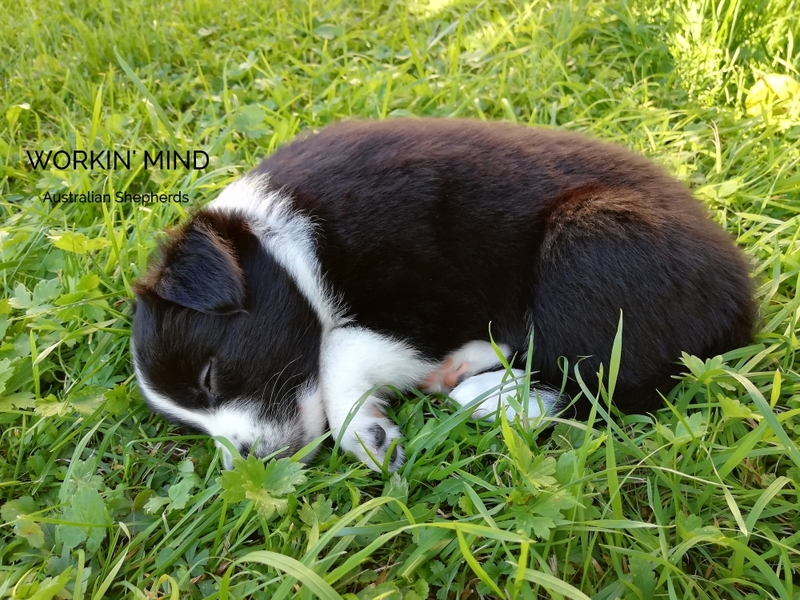 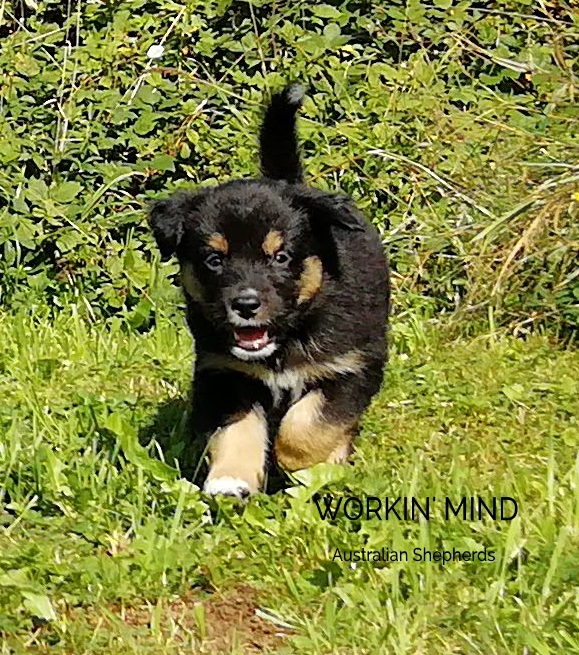 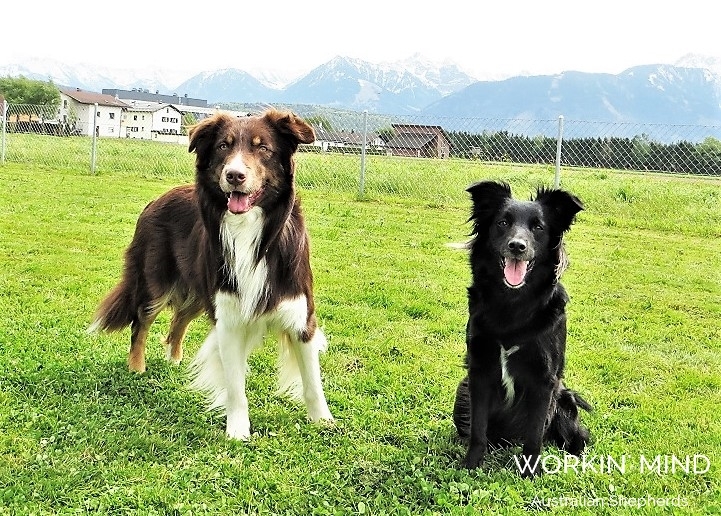 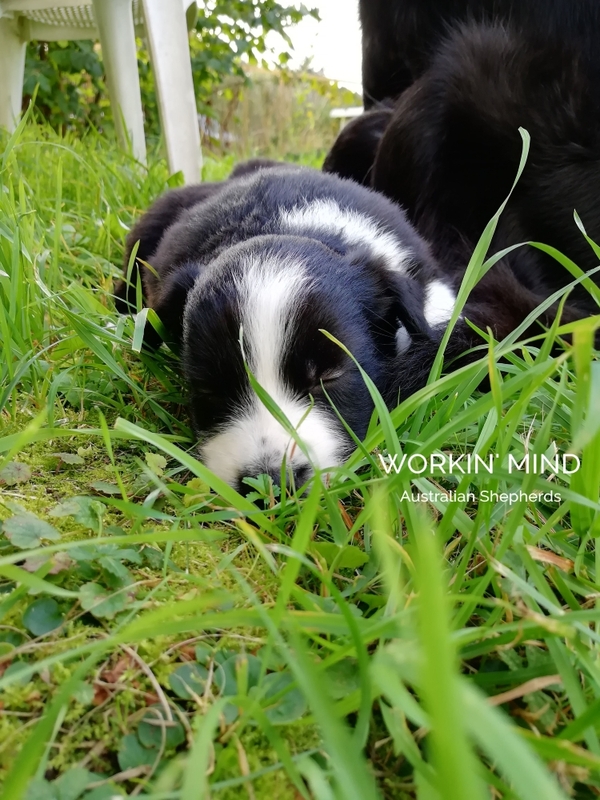 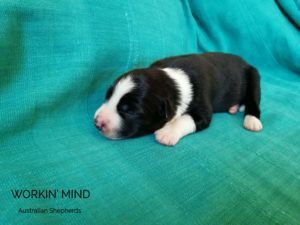 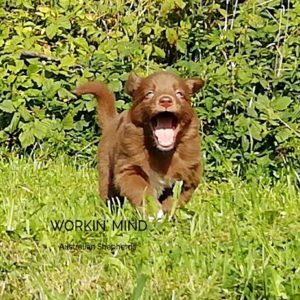 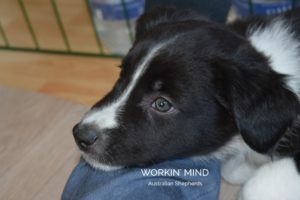 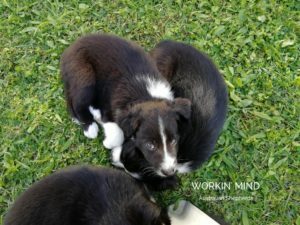 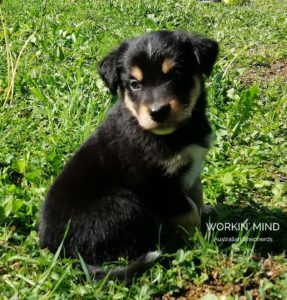 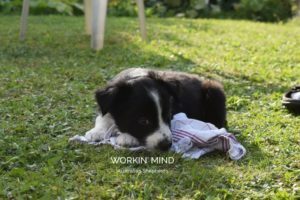 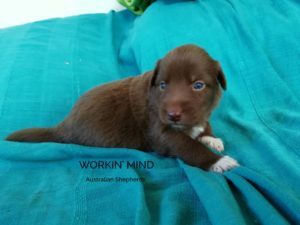 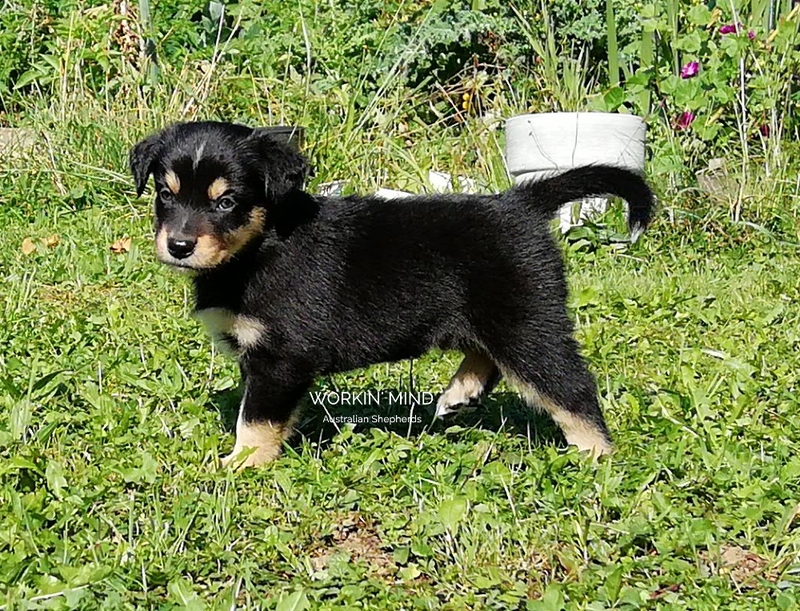 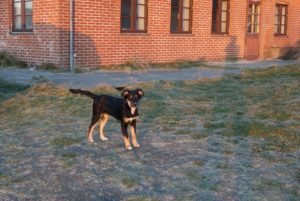 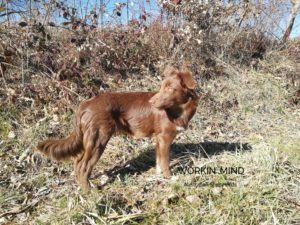 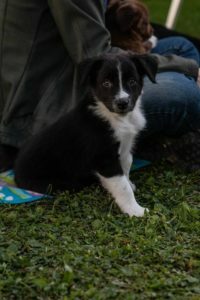 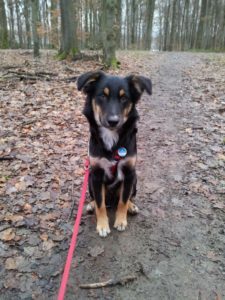 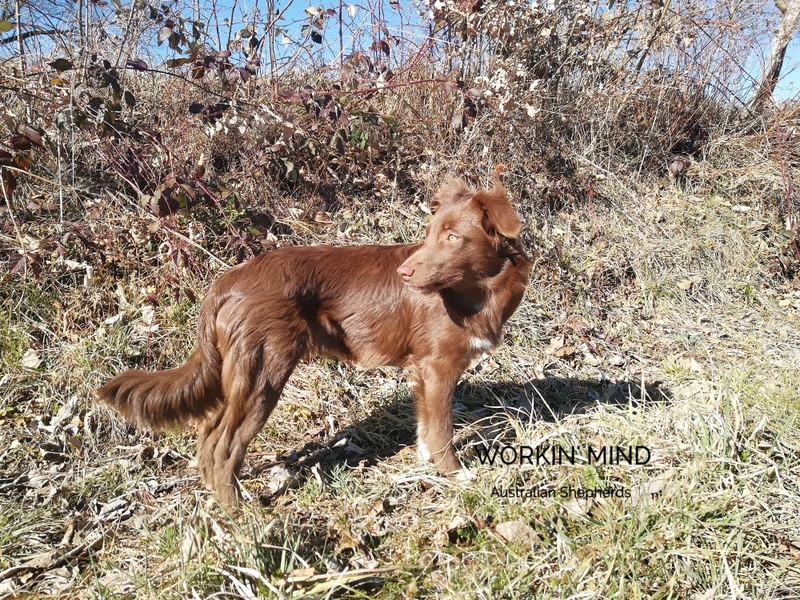 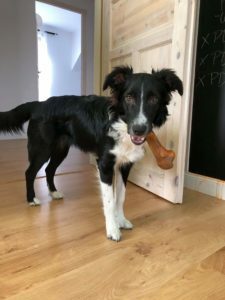 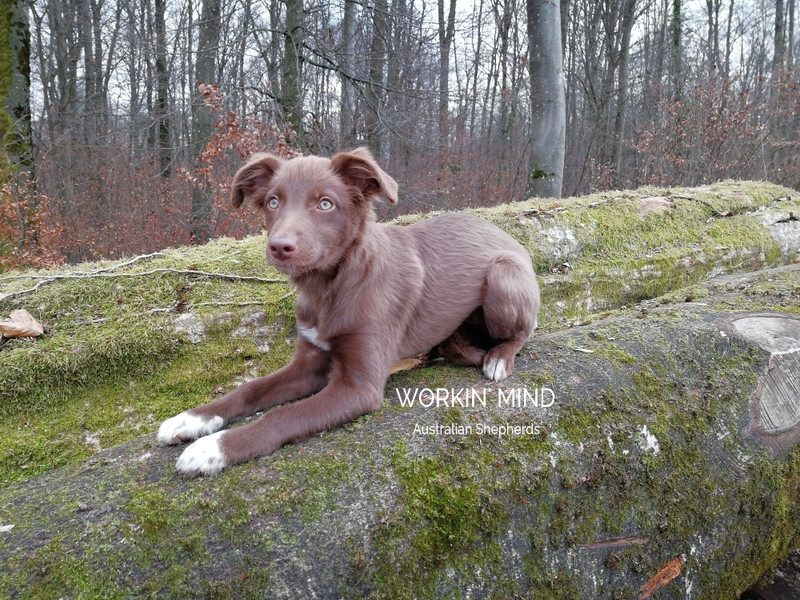 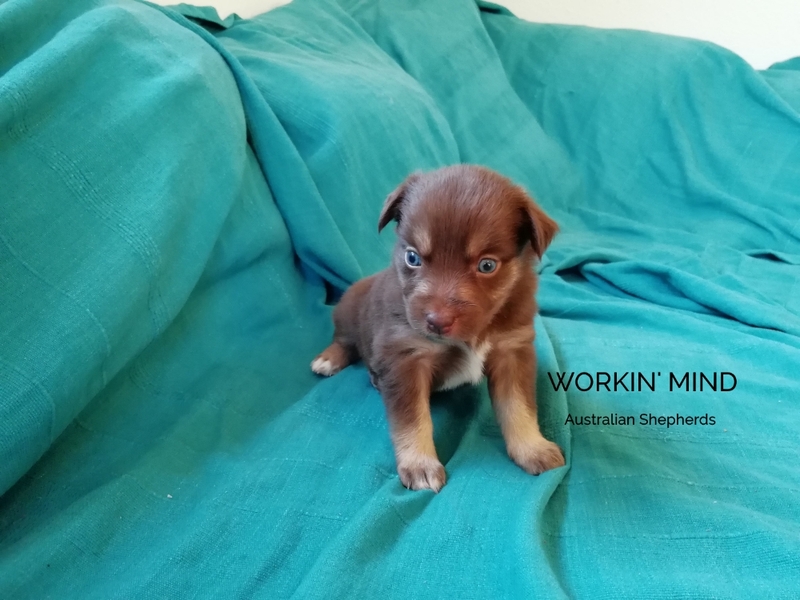 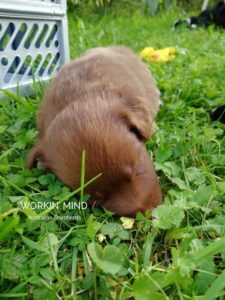 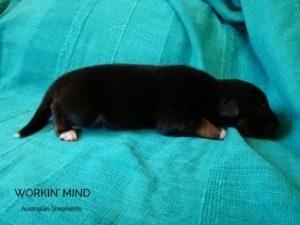 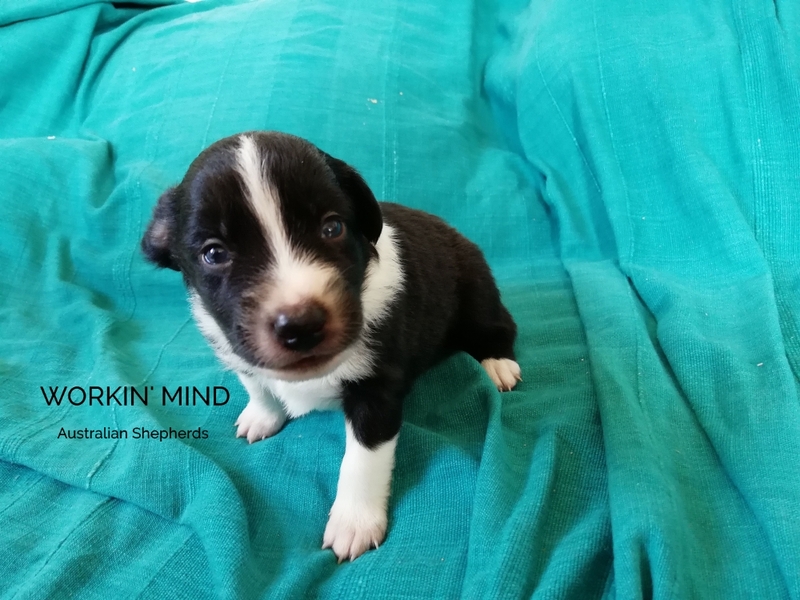 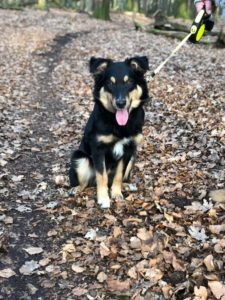 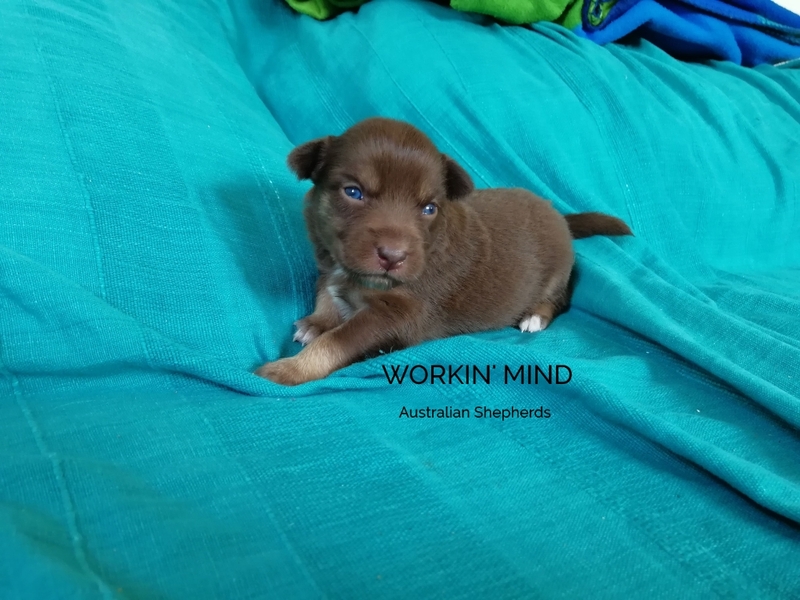 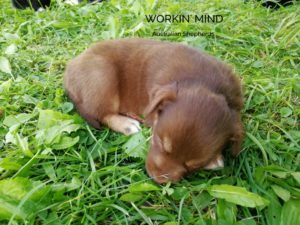 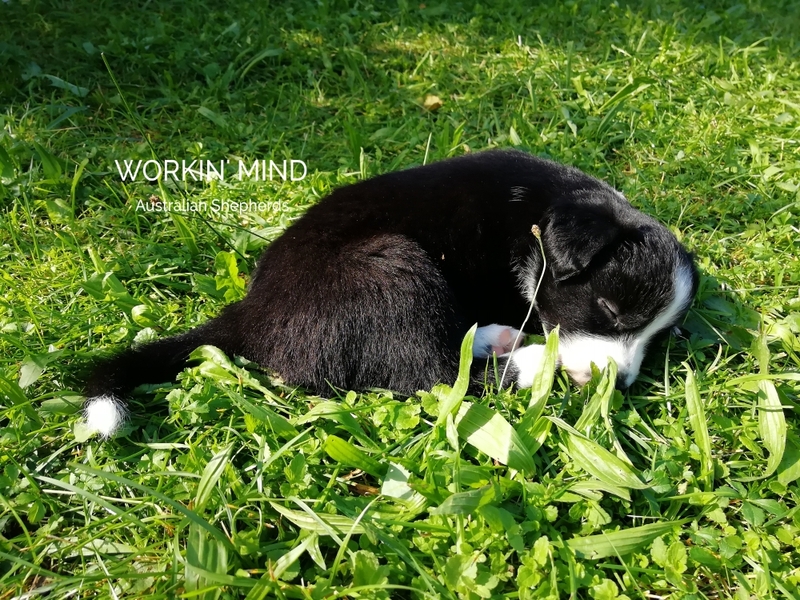 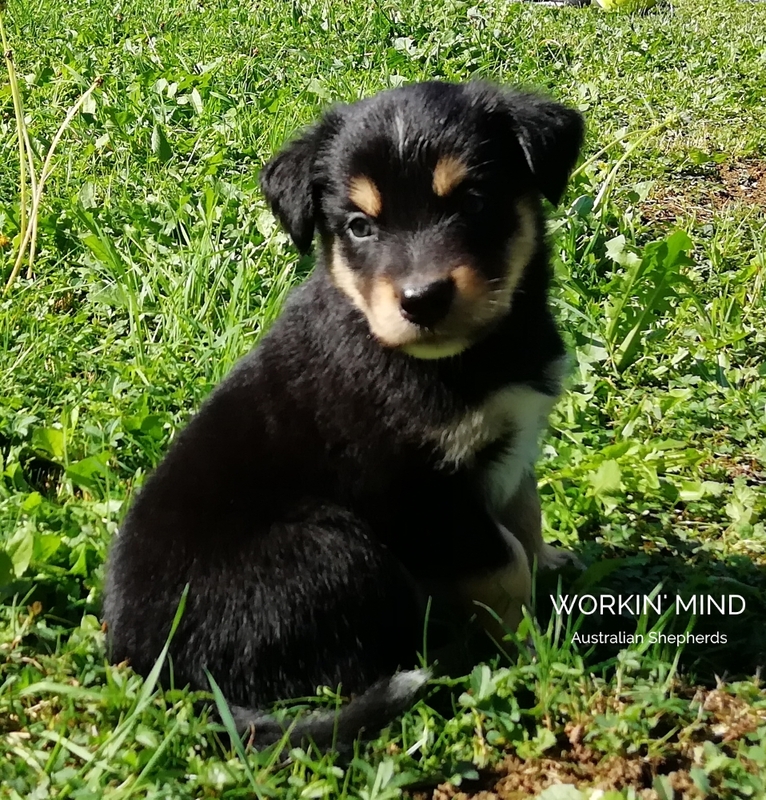 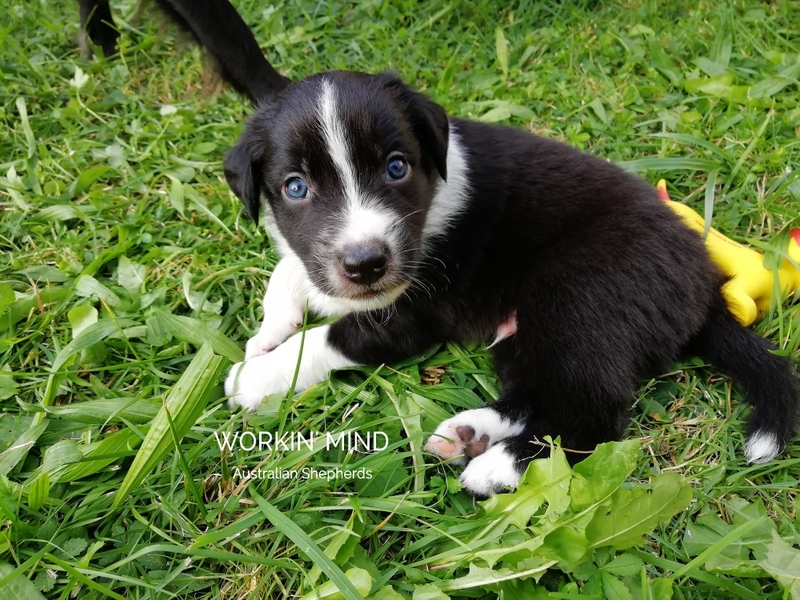 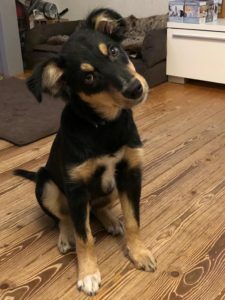 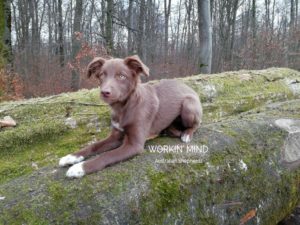 We expect agile, intelligent, fast puppies with a strong character and a lot of “will to please”, that are very suitable for dogsport and the work with livestock. 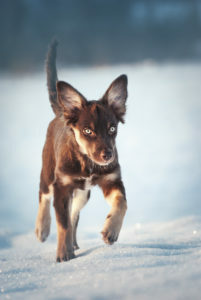 The puppies are genetically free of HC (HSF4), CEA (NHEJ1), DM (SOD1) and PRA-PRCD. They are free or carriers of CMR1 and MDR1. 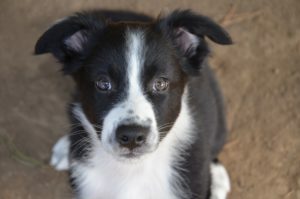 The COI (coefficient of inbreeding, calculated on 10 generations) is 3.45%.